I think this lights different appearance was half the reason I decided to give it a try. I definitely like its angular shapes but it's different enough I'm sure not everyone will agree with me on this. After catching my eye, further research only turned up a couple of meh videos but also an encouraging spot on the road.cc light comparison site. No review there unfortunately but beam shots and output charts showed it to be the equal to anything under 900 lumens even though it's only rated to be a 700. So add a little brand curiousity and a reasonable /affordable $60 price and the light is mine. Here's a couple of shots of the light and I couldn't resist doing a quick bounce test of the three steady modes off a full battery charge. Hi/Med/Low were 970/465/240 lumens which is impressive but as we all know flash readings mean very little when dealing with single cell self-contained lights, hopefully more in depth testing won't be a let-down! Here's a few more shots in better light + helmet mounted. I weighed the light with the bar mount (145g) and with just the Gopro adapter (130g) so positioned right in the middle of the micro and regular Lumina's. Shining the light on a wall revealed a round and wider than expected beam with a tint that pretty closely matched my 5000K Gloworm CX. Light's on the charger right now and hope to get a output curve done tonight. Too this to show size of the Buster 7. 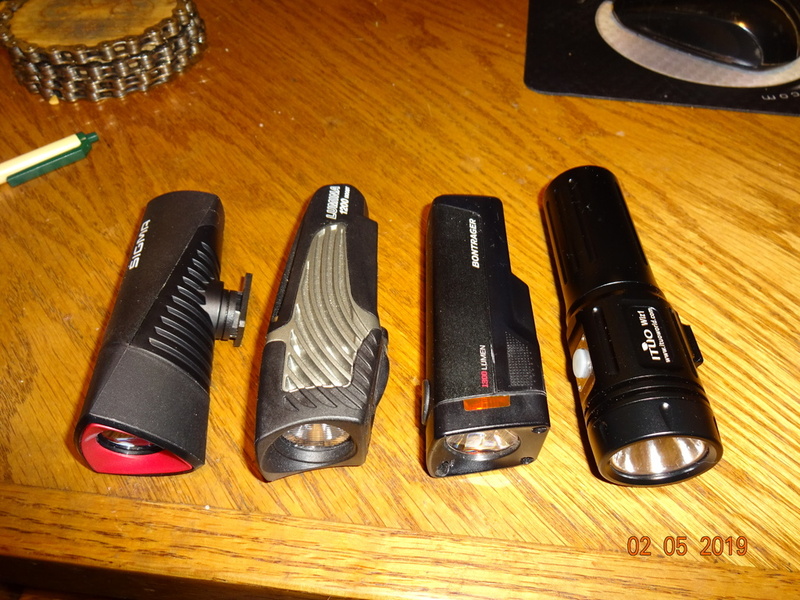 Pictured left to right: Buster 700, Lumina 1200, Ion 1300, and Ituo Wiz1. Output vs. runtime test revealed some good and bad characteristics. Unfortunately it did not maintain a reasonable output in the highest mode for its claimed 2 hrs. Judging from when the mode button turned red (68 min.) indicating 30% remaining battery capacity I'm sure it will technically reach the 2 hr. claim by finishing out the last 45 min. at about 100 lumens but for me 77 min. is its usable limit. I'm going to try contacting the vendor I got the light from to see if they think this is normal but from the very few reviews I've read short runtime in high has been mentioned and considering the lights higher than expected output I'm guessing this is what you should typically expect. 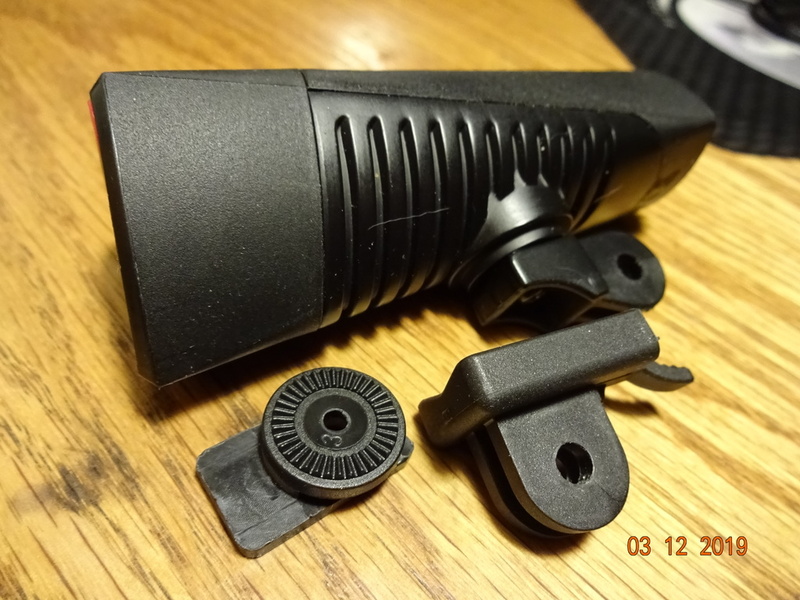 Good news is that output amounts in the runtime challenged high mode are more typical of what you would expect from a light rated @ 850 -1000 lumens rather than the claimed 700. Tonight I'm going to try to do the medium mode (350 claimed lumens), results should shed some light on how easy it will be to put up with the runtime limits of the high mode. Med. mode report: Same story line as in high, much higher lumen output than claimed and only about 60% usable runtime compared to claims. The Buster 7 didn't run very long in the claimed <30% battery capacity range (red on battery life/mode button) so usable range of the med. mode may possibly be extended buy switching back to high at the end of the usable range but will have to try that to see if and how long it would make any difference. My initial thoughts on the double click to turn on/hi/med/low/flash/press and hold to shut off UI were meh, another single program light that requires clicking through the flash mode when in this case you want to get to one of the other forward modes from low. Sigma added a feature that makes this more than acceptable though! A double click in low or med. will switch the light to the hi mode and a double click in the hi mode will switch it back to low. This allows you to avoid the flash mode if you so choose, have a single operation between all the steady modes except going from low to med., and have a hi/low option for courteously dealing with oncoming pedestrians and cyclists . Additionally I had some contact with Sigma yesterday. My email to them about the shorter than claimed runtimes and battery specs. got a response in a couple of hours providing the battery info. and requesting the runtimes I was getting to help them determine if I had gotten a bad unit. I replied with the information they requested later yesterday but have not had any additional contact yet. I'm thinking output and runtimes I got are about all you could expect from a 3000 mAh 18650 so will be surprised if my current results can be improved upon. Last edited by MRMOLE; 02-09-2019 at 04:17 AM. Nice test! 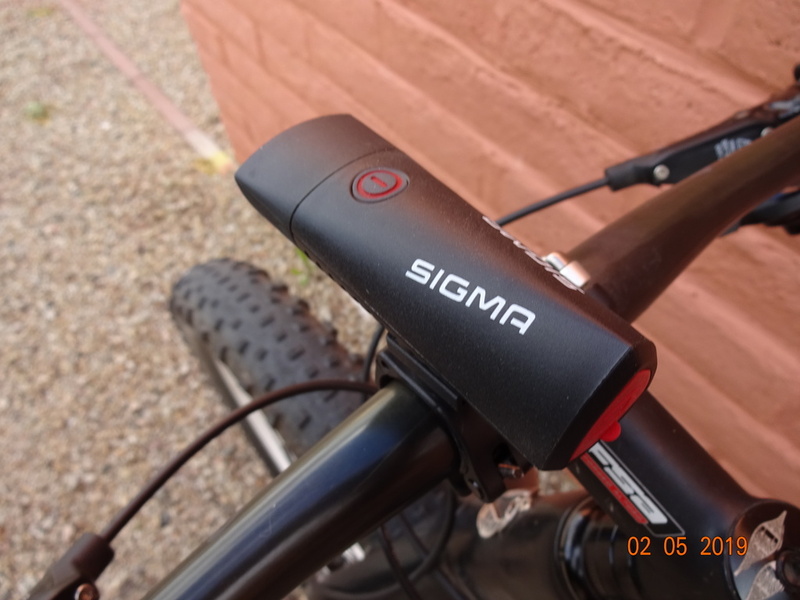 Keep us posted on what you find and what Sigma says. I agree that you really can't expect much more out of a single cell 18650. 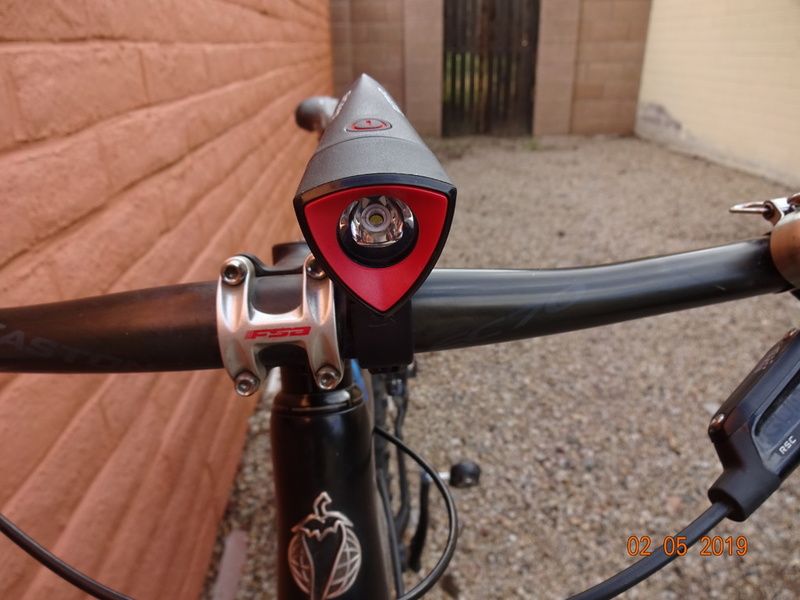 Makes me wonder when we will start seeing 2070 or 2170 cells being used in these bike lights. I've not had the time to work on it recently, but am wanting to put together a 2-cell 2170 pack for one of my current lights. I found it odd that output curve had that drop from about 400lumens down to 100. Playing around with the light I realized it actually stepped down to low mode and that by double clicking it would return to high and them gradually go down to the 100 lumen level. The Sigma Rep. did get back to me and mentioned that He had got his light to run the full 2 hrs. in high but for quite awhile it was pretty dim. Sounds like a match to my lights performance and am assuming that the step down point was chosen so the 2 hr. point could be reached. So if your 10 min. out till your off your bike you have the option of double clicking and getting some extra brightness but beyond that it might be a good idea to leave things alone and have the extra time in the "be seen" output range. Red line is original output curve w/step-down. Green line represents change in the curve if you double click at step-down. At this point my testing has hit a brick wall. Doctor won't release me to ride yet and review can't move forward till that happens. 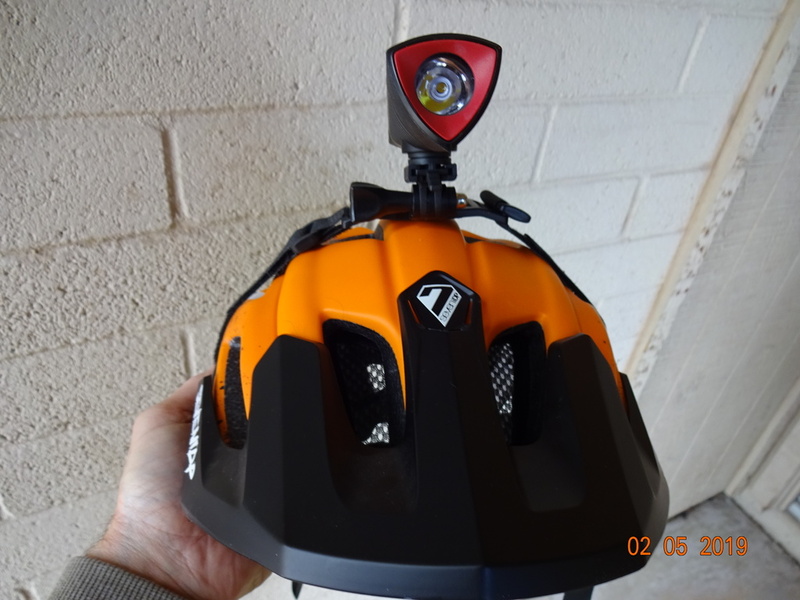 It's looking like this might make a very good alternative to a Niterider Lumina 850 micro for those who want a self-contained helmet light. I guess I'll figure that out when I finally get to do a test ride. Last edited by MRMOLE; 02-10-2019 at 12:44 PM. Thanks for the review MRM. Hope you get better soon. I lost 5lbs over the last week ( from what I can tell ). Started my diet just after the Superbowl ( as I usually do ). Hoping to get my health on a better up-swing so I can start doing rides again in the spring. I think if you get one hour on the high mode that's pretty much to be expected. The Raveman CR900 on high gets about the same. Advantage to the CR900 is the programmable mode. If I adjust the output just a tad I get a great output and another half hour run time ( @ ~ 600 - 700 lumen ). Plan on ordering a new CR900, just haven't had good enough weather yet on my off days to bother ordering yet but likely might put the order in this week and hope for better weather by the time it comes. Thank you. I hope I can follow you lead on the weight loss cause I've put on an extra 7lb from being off the bike for the last month. I see the Cardiologist next Monday to review a Nuke stress test I took today and am hoping to be cleared to start riding again. Agreed, have to remind myself that my typical 30-50mi. night rides are not really what these lights were designed for. Med. mode on the Buster 7 looks like it will handle the 30 milers fine though. It's only rated at 350 lumens but actually you get about 2:20 of 300-500 lumen output. For longer rides I just need a different tool. My other un-roadtested light the Wiz1 has a max. output between high and med. on the Buster and a much larger capacity battery (and it's programmable) and expect to get a good 3 hrs. of usable runtime and should have me covered for the longer rides. ...For longer rides I just need a different tool. My other un-roadtested light the Wiz1 has a max. output between high and med. on the Buster and a much larger capacity battery (and it's programmable) and expect to get a good 3 hrs. of usable runtime and should have me covered for the longer rides. Yep, my Wiz-1 ( 26650 version ) set up with an ~ 5200mAh Orbtronic cell makes for a really long running self-contained bike light. Shame I don't use it more often but I really am too used to the wider beam pattern of the Raveman lamps. Once you've gotten used to the wide beam pattern of the Raveman's it really is hard to go back to riding on the road with any lamp using a typical narrow / conical beam pattern. I'm still trying to decide whether or not to buy the newer Raveman CR700 which allows use of an external USB type battery but currently I don't see those being sold anywhere yet so I might have to wait a while if I want one of those. I hear what your saying about the beam. I haven't gotten to ride with the Wiz1 yet but it looks pretty narrow (at least in the main spot). I few yrs. back when I first got my Gemini Xera Jim at Action sent me a smaller version of his wide angle (elliptical) lens cover to try with the optional reflector which just happens to fit the Wiz1 perfectly. 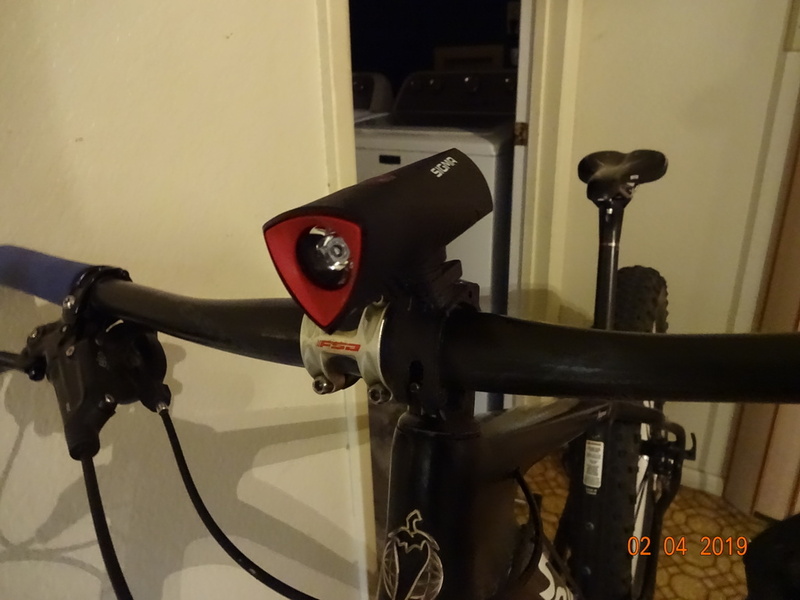 10/30 degree beam angle should make that a great utility light and anticipate that's the setup I'll end up using. I like the larger capacity battery Idea for most of these single cell lights but maybe not for the Buster 700. I'm thinking helmet use is going to be its forte (compared to other existing lights) where the extra weight of a larger battery wouldn't be welcome. If I could figure how to take it apart I'd be all for sticking a 3400 cell in it though. Worked pretty good on the bars IMO. Beam is very nice and wider than I anticipated but still good throw. I ended up using the medium mode for most of the 23 mi. multi-surface ride only using high for a couple of miles of very tame trails and when playing around with the mode functions. 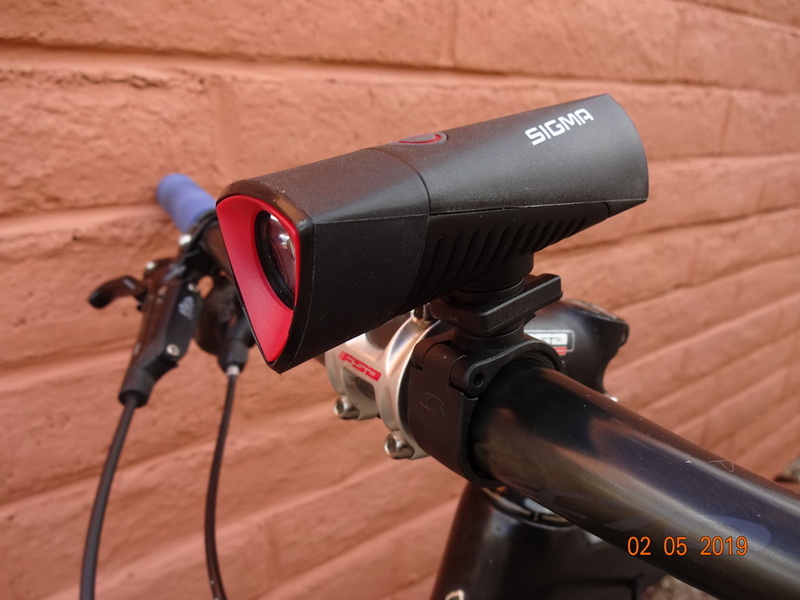 Shorter runtime of the high mode limits its usefulness for me but power output was very usable with a warmer tint (similar to the 5000k Gloworm Alpha I took as a helmet light). As my power output charts indicate the light makes quite a bit more power than claimed and riding with it left the same impression. Medium mode is pretty much the same story. 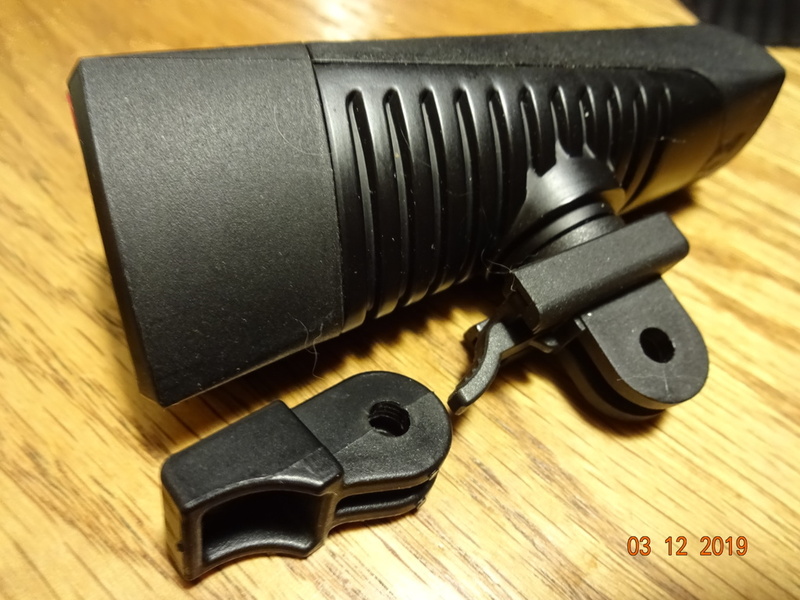 Instead of the claimed 350 lumens it starts out at about 500 and tapers down staying above its published output till about 1:45 and pretty much done by 2:30 (<250 lumens). Low is a bit weak for my taste but very usable to conserve battery life as a be seem light in well lit areas. Love the double click to high from med. and low + double click to low from high mode feature. Mode button has a nice feel and works reliably but can be hard to find because it's flush mounted and is not lit for the first 30ish percent of the battery capacity. So not perfect but very likable so far. Helmet mounted test to come next. Back on the bike again (with limitations) and got my first try with the Buster 700 helmet mounted. Not crazy about how tall the provided Gopro adapter is but it didn't cause any comfort issues I guess because of the lights minimal weight (130 grams w/adapter). Fairly wide beam but still good throw because of its excellent power output and super easy to operate while helmet mounted. Pretty satisfied with this lights performance as a helmet light. 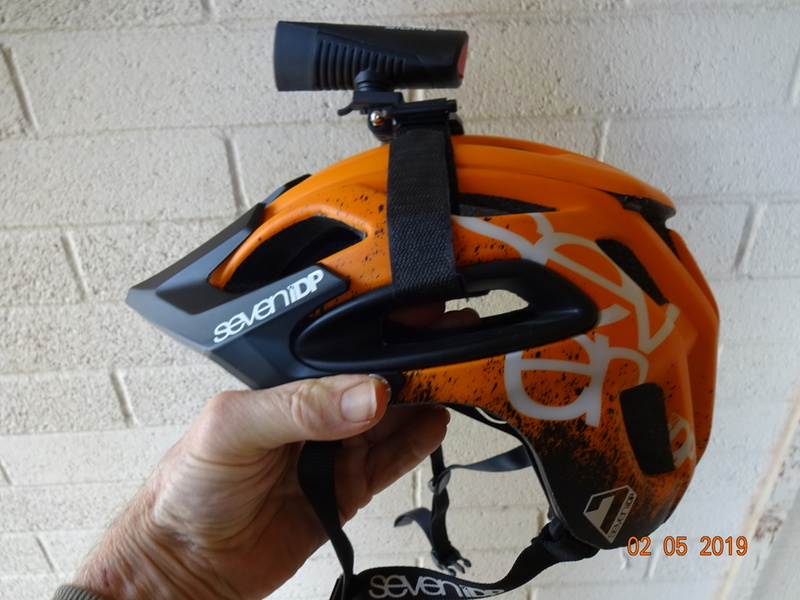 As with bar mounting it's not just that the Buster performs as good or better than similar lights claiming a 200-300 lumen advantage but additionally that it's easy to use and enjoyable as a helmet light. 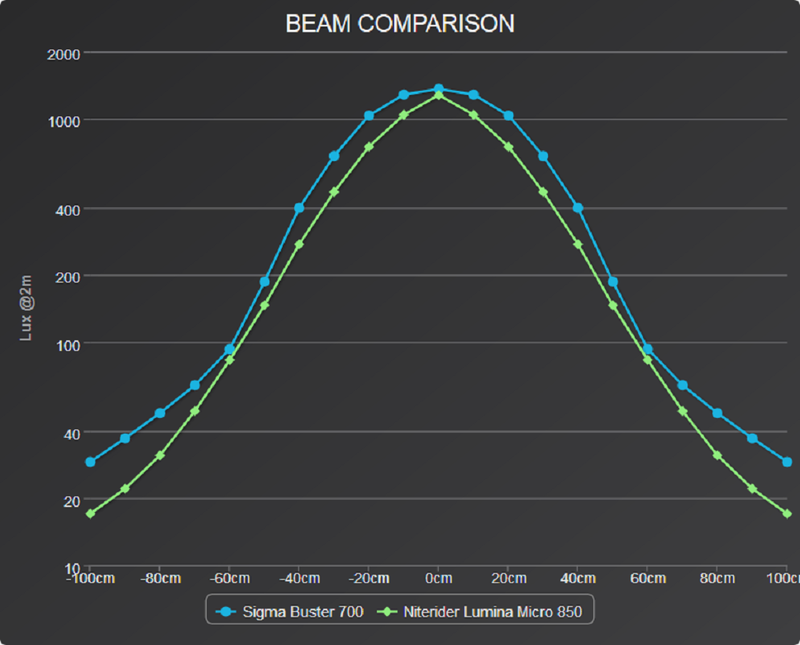 Is the Buster 700 a better light than the Lumina Micro 850??? Like most things what's best for you depends on what characteristics you value the most! With the Lumina you get a good solid light with good initial performance, lighter weight (15 grams), time proven reliability and unmatchable customer service. Retail price is $65 + an additional $15 if you want a helmet mount. With the Buster 700 in spite of its lower power rating you get far better maximum performance. Initial performance of these two lights is very similar but the more stable Buster ends up spending the majority of its runtime at about double the output of the Lumina. I would also rate the Busters UI above the Lumina mostly because it's easier to move around the various presets because of the double click feature. The Buster 700 also has a lower initial price and a helmet mount is included. Retail price is $60 so a better bang for the buck. Last edited by MRMOLE; 1 Week Ago at 09:52 PM. Not crazy about how tall the provided Gopro adapter is but it didn't cause any comfort issues I guess because of the lights minimal weight (130 grams w/adapter). Found a better solution that lowers mounting height. 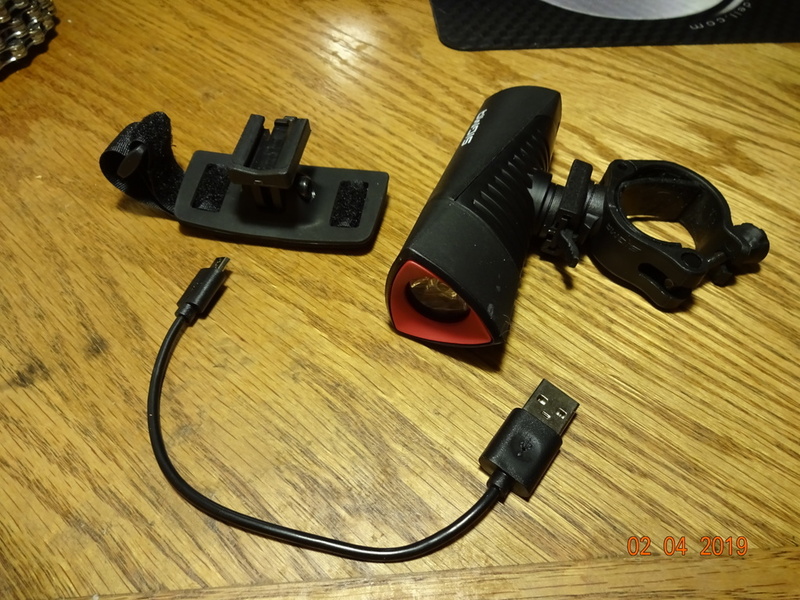 Gopro adapter from Outbound lighting! We think it looks better on an OL light. We all think our children are beautiful! 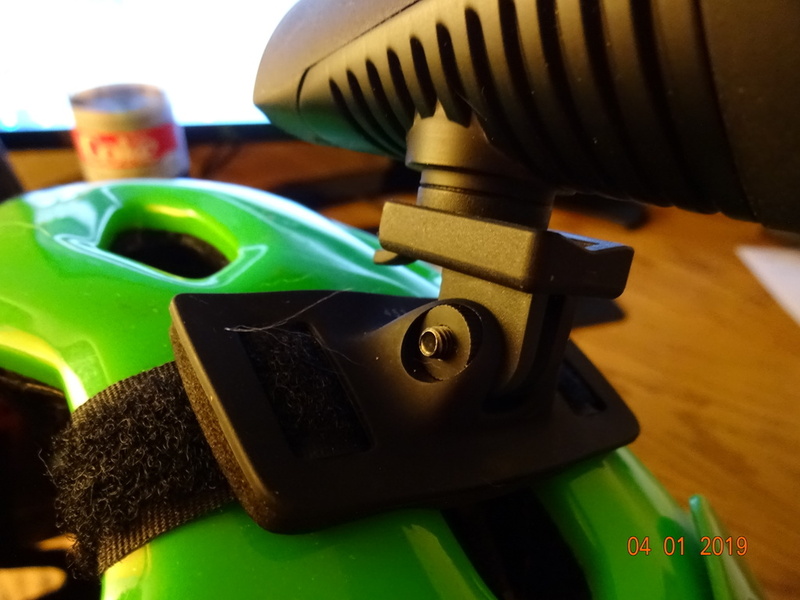 For the $60 retail price it's a bonus to also get a helmet mount included with the Buster 700 but it looked pretty flimsy so I was just happy part of the mount was a slide clip Gopro adapter that could be used with other Gopro mounts. Flexible base aside, once the straps are tightened the base forms to the helmet surface and becomes very stable even on uneven surfaces . Don't get me wrong, it's a cheap looking mount that requires tools to tighten (no thumbscrew) with only 2 prongs on both interfaces and a tube spacer in the middle section that makes it a PITA to reassemble if you just want to use the Gopro adapter on another mount but it does function as good or better than my other strap mounts and adds value compared to the class standard Lumina Micro 850 that ends up being a full $20 more when NR's accessory mount is included. I got this email from ebay today so had to post it. For reference this light is listed for $59.99 on Sigma's website, wonder what makes this sellers product worth double retail?